BEST STUFFING EVER! 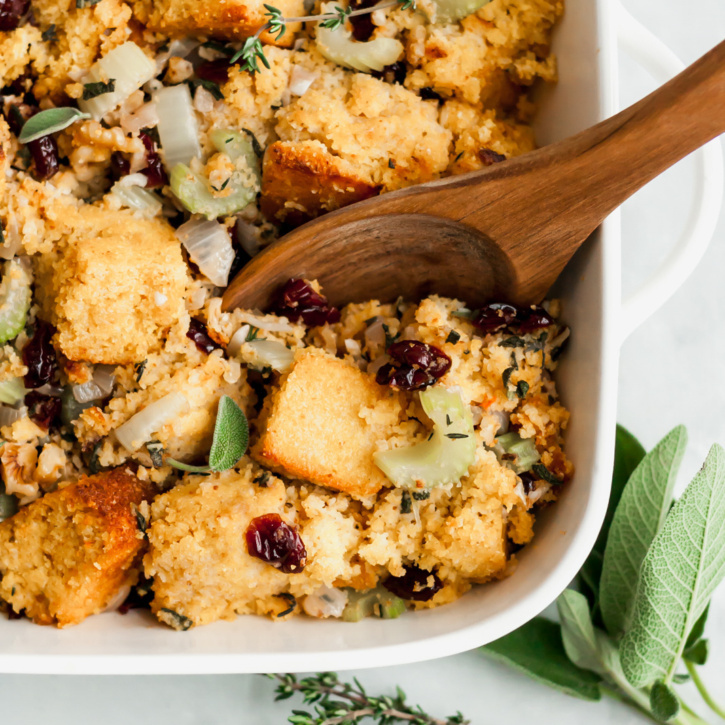 This cornbread stuffing is a healthier, gluten free take on a Thanksgiving classic stuffing! With bites of sweetness from dried cranberries, crunchy walnuts and incredible flavors from thyme and sage. You’re going to LOVE this simple delicious recipe! 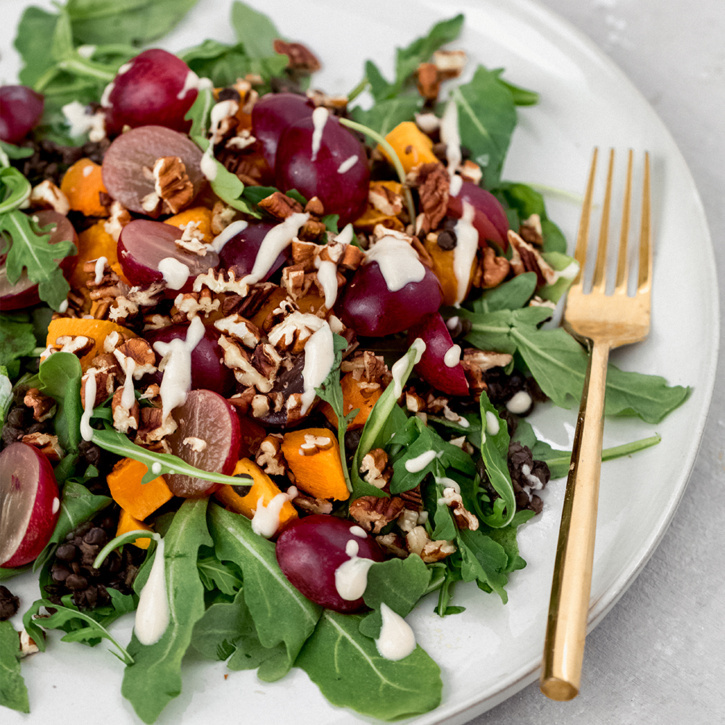 Winter roasted butternut squash black lentil salad with juicy grapes served over a bed of arugula and drizzled with a creamy tahini dressing! Full of texture, comforting and so delicious! 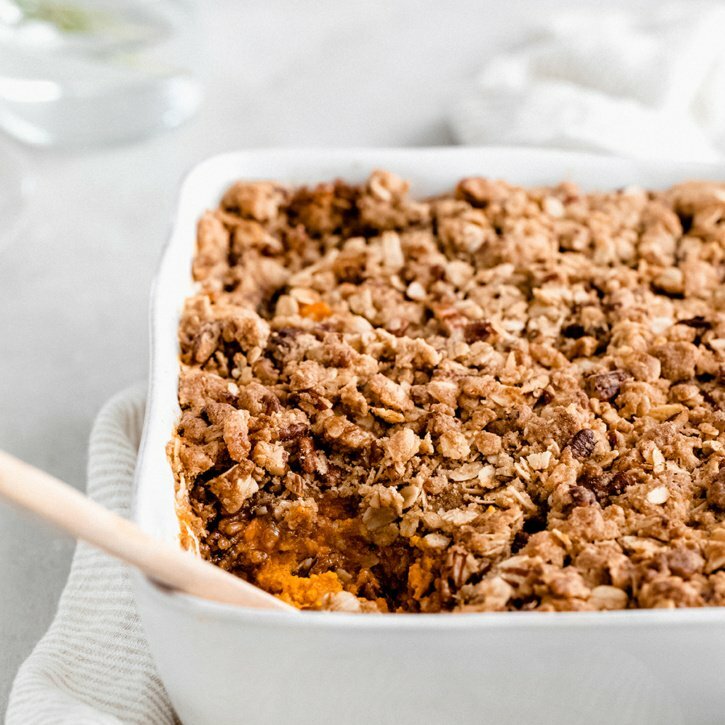 Absolutely delicious lightened up healthy sweet potato casserole with a crunchy pecan oat streusel topping. This will be your new favorite side dish for Thanksgiving! Easily made vegan and gluten free. 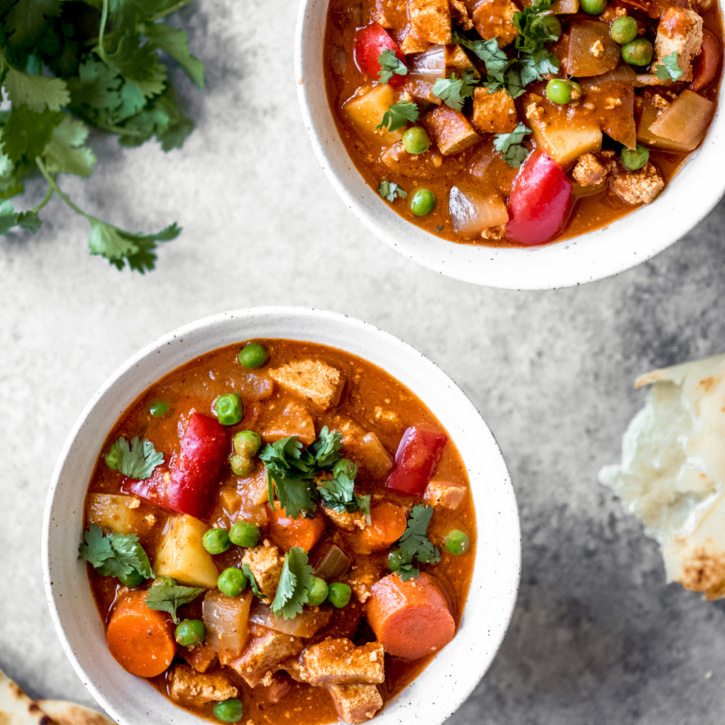 This unbelievably nourishing vegan slow cooker tofu tikka masala has a hearty serving of veggies like carrots, bell pepper, cauliflower and potatoes! Makes a great recipe for crowds or to make for meal prep. Delicious with a side of naan bread for dipping. This recipe is in partnership with Nasoya. 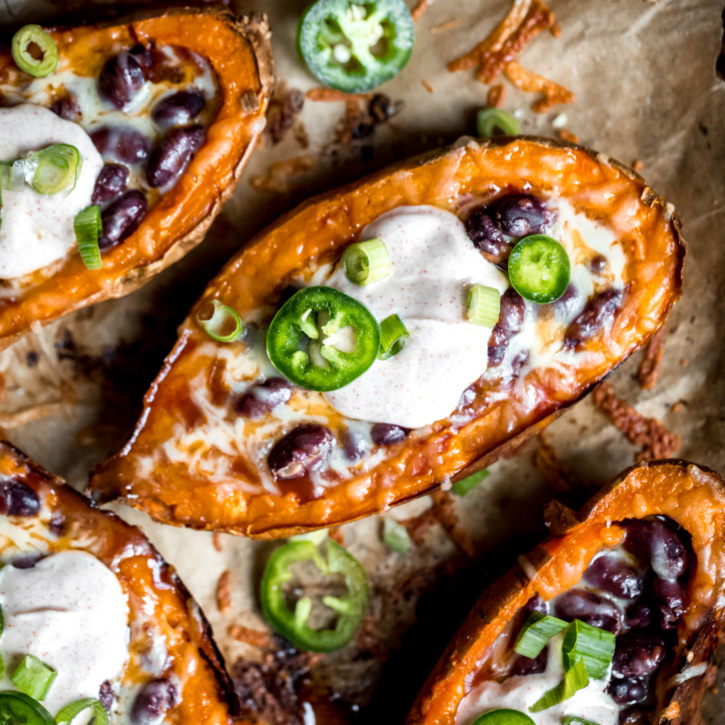 Delicious chili stuffed sweet potato skins that make the perfect game day appetizer or easy vegetarian lunch! Topped with melted cheese and a scoop of honey-lime chipotle yogurt sauce. This recipe is sponsored by BUSH’S® Beans. 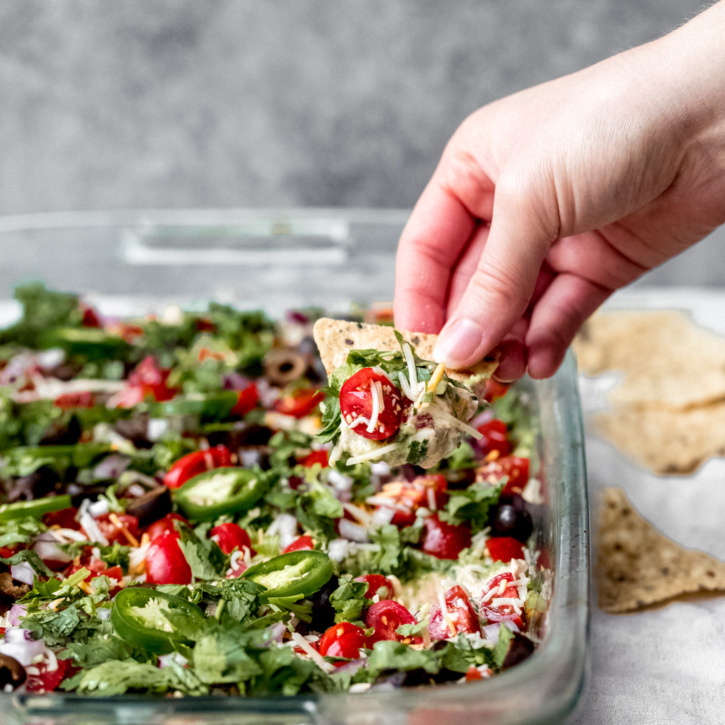 The BEST healthy 7-layer dip ever made with beans, yogurt, taco seasoning, guacamole, cheese, tomatoes, black olives, onion, cilantro and jalapeños. Fresh, flavorful and absolutely delicious! Always a crowd-pleaser for game day and even holiday parties. This recipe is sponsored by siggi’s. 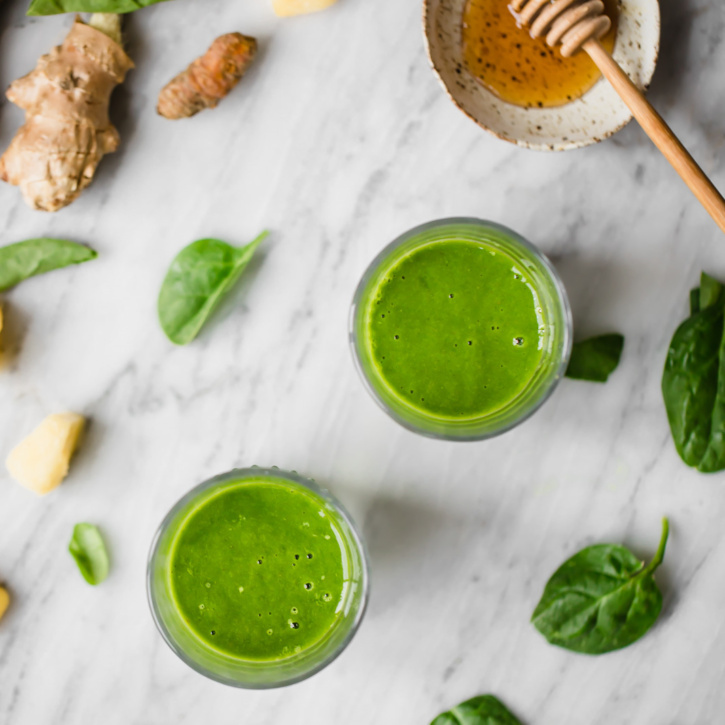 Immune boosting wellness smoothie packed with nourishing ingredients: fresh ginger, turmeric root, spinach, raw or manuka honey, pineapple, banana and black pepper. Sounds crazy, but this smoothie is absolutely delicious, great for digestion and a boost for your immune system! I love drinking this daily. Nourishing yellow chickpea pumpkin curry simmered in cozy spices and served with fragrant coconut brown rice. 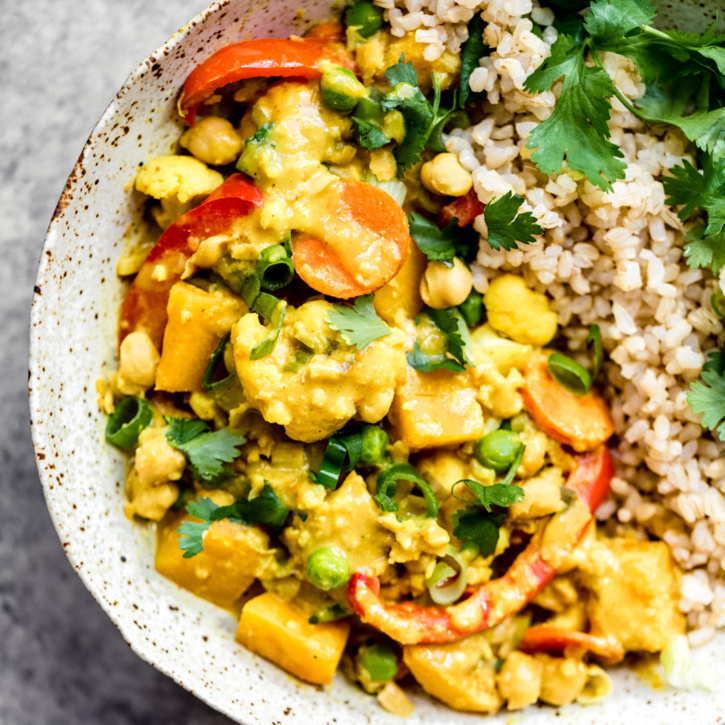 This vegan curry recipe is packed with plant based protein and perfect for meal prep! Pumpkins can be intimidating, but we’ll break down to to easily cut, dice & roast a pumpkin for cooking. 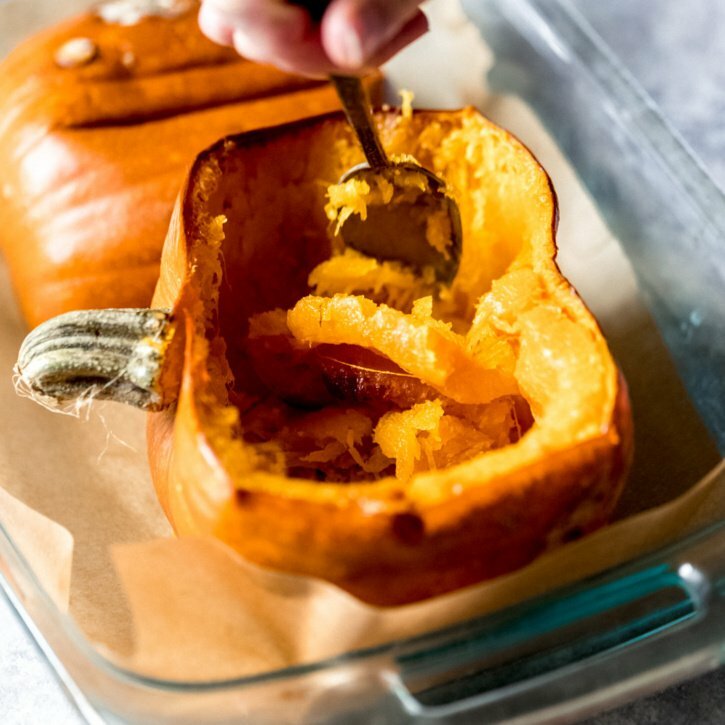 Plus, you’ll learn how to make your own homemade pumpkin puree for all of your favorite pumpkin recipes! 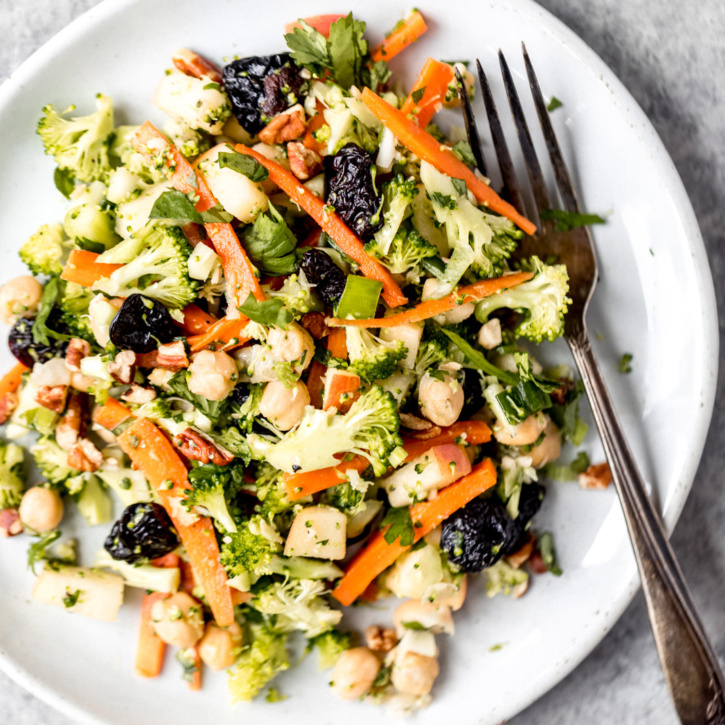 Healthy apple broccoli salad with chickpeas, dried cherries, carrots, pecans and fresh herbs. Tossed together in a light honey dijon dressing to bring this salad together. Easy to make, great for lunch or parties and makes excellent leftovers!